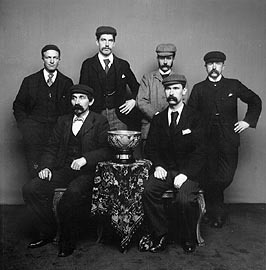 Bass Rock Golf Club, winners of the Wemyss County Cup in 1895. Pictured above is the winning team of Andrew Wallace, Donald Jackson, James Mitchell, and Andrew Thorburn. 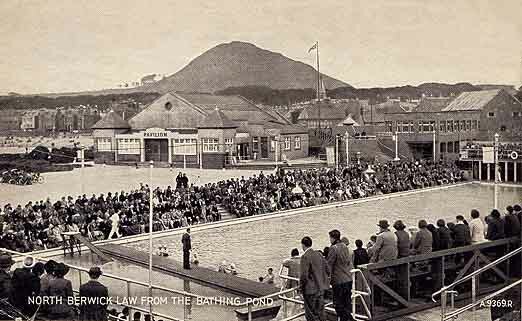 Seated Left - club captain Alex Hutchison, and secretary George Tait, who was headmaster of the North Berwick Public School for over forty years. 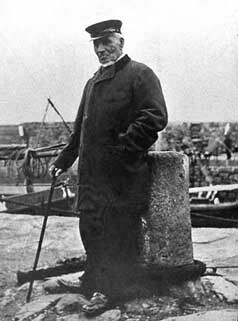 In July 1948, golf professional Henry Cotton won the Open Championship at Muirfield. 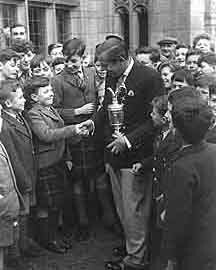 The following Monday he played an exhibition match on the West Links and visited Carlekemp Priory School in North Berwick to show the pupils the famous claret jug.